Oprah Winfrey, you go, girl! The world famous talk show host has struggled with her weight pretty much ever since she broke on to the national scene. 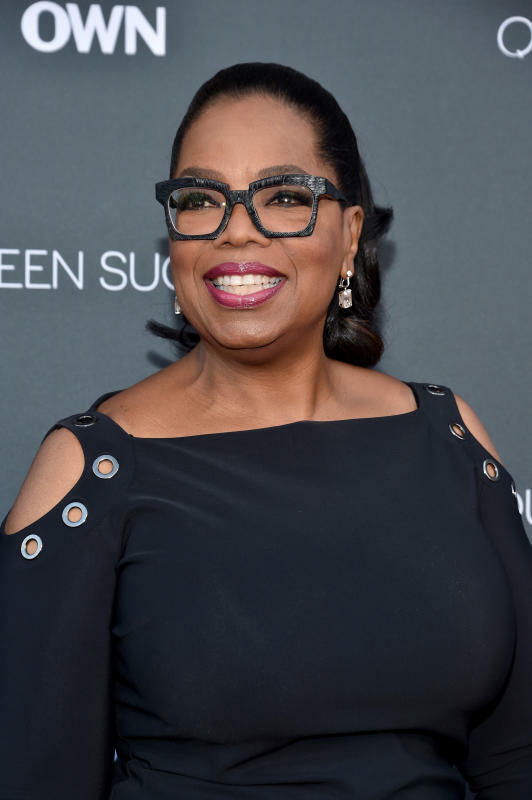 But Winfrey now says she's been using Weight Watchers and has shed a minimum of 26 pounds (she did not reveal the final tally)… and she looks better than she ever has before. "I can straddle him without breaking his back." 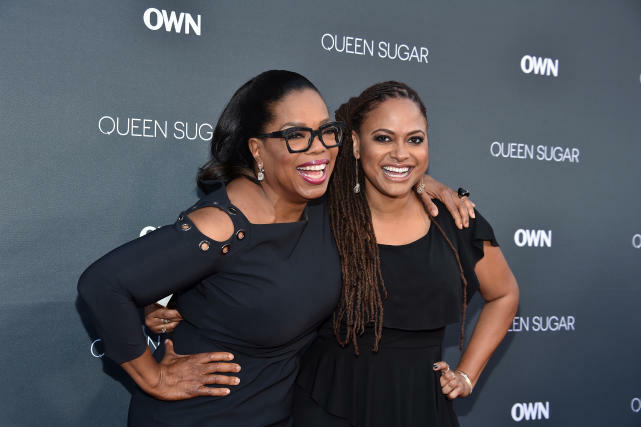 Check out the following pictures of Oprah at the premiere of OWN's original drama series, Queen Sugar, to gawk over her new figure. 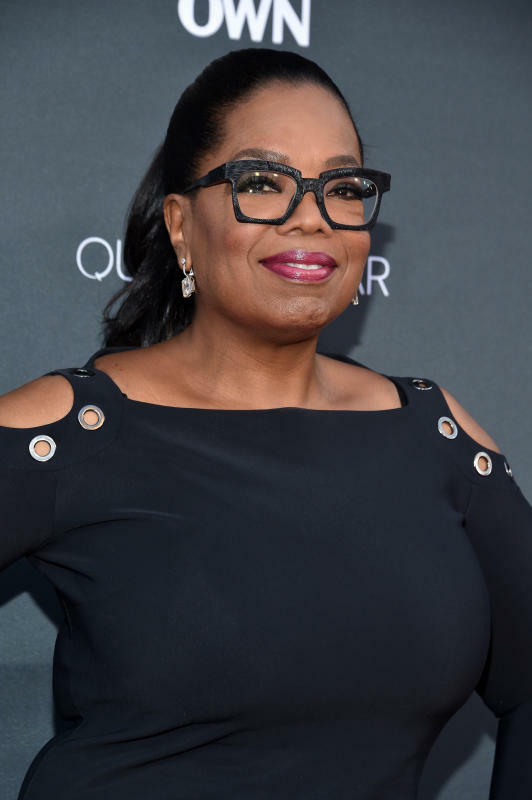 Oprah Winfrey has often struggled with her weight. But she shows off an impressive new figure for this red carpet appearance. 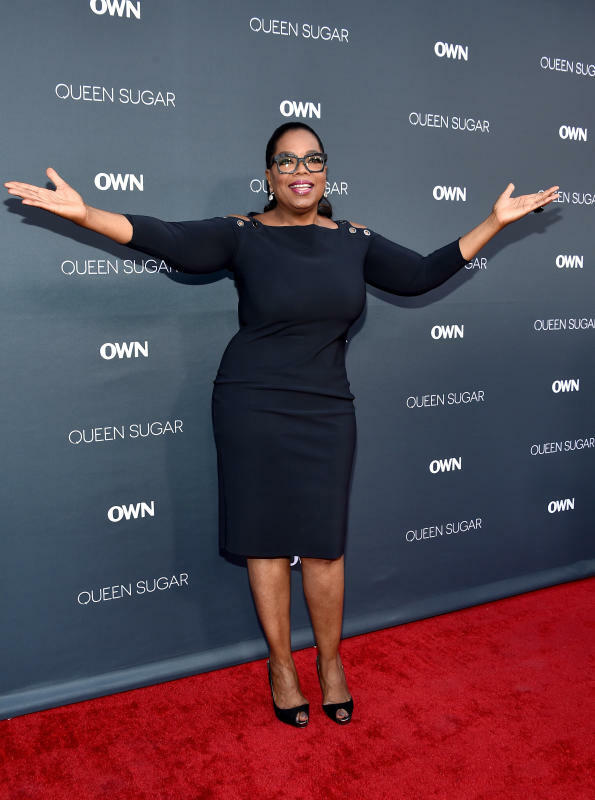 Oprah Winfrey has shed about 30 pounds with Weight Watchers. You can totally tell, can’t you? We’re up close and personal with Oprah Winfrey for this photo. She is on the red carpet of a premiere for a show on OWN. 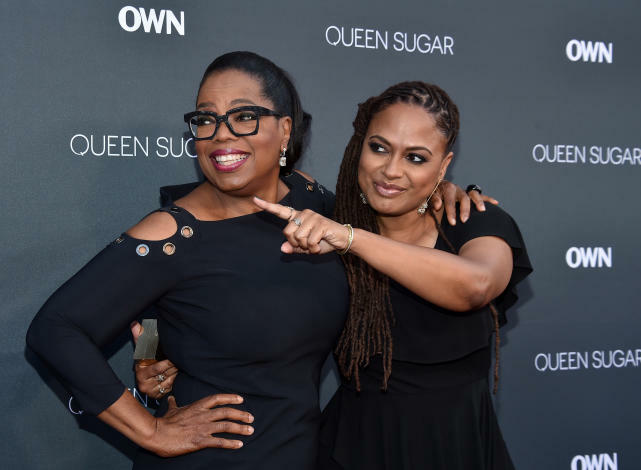 Ava DuVernay directed the OWN series “Queen Sugar.” She’s posing here with the queen of TV herself. 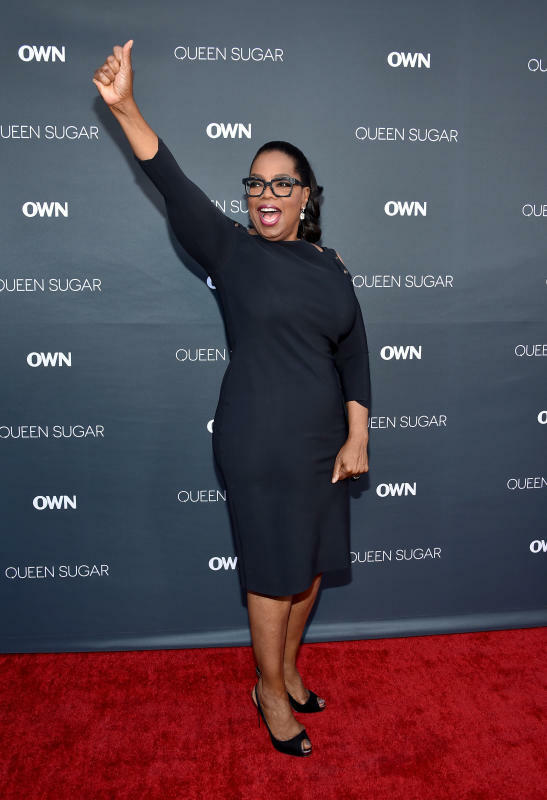 Thumbs up, Oprah! And that’s because your weight is pretty clearly down. Big Brother Recap: Did Da’vonne Blow Her Game Up? Jackie Evancho: Who is Donald Trump’s Inauguration Singer? Next story JoJo Fletcher to Jordan Rodgers: GET OUT! Previous story Jenelle Evans: I WILL Win Back Custody Of My Son!